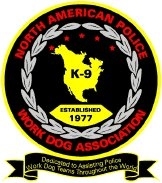 Specialized K9 Detection Service is a privately owned company offering Confidential K9 Detection Services for residences, schools, & businesses.We are not affiliated with law enforcement agencies and we do not notify them of our findings. Brought to you by Dave and Mandy Harrington, Specialized K9's goal is to provide private, professional assistance to Families, Businesses, and School Districts in need of alternatives to Law Enforcement when dealing with drug use and contraband being brought inside their walls. All too often because of the legal ramifications, help is turned away or not available. It is our hope that our knowledge and experience can help break the cycle of abuse, and assist in creating a safer living, working or learning environment.